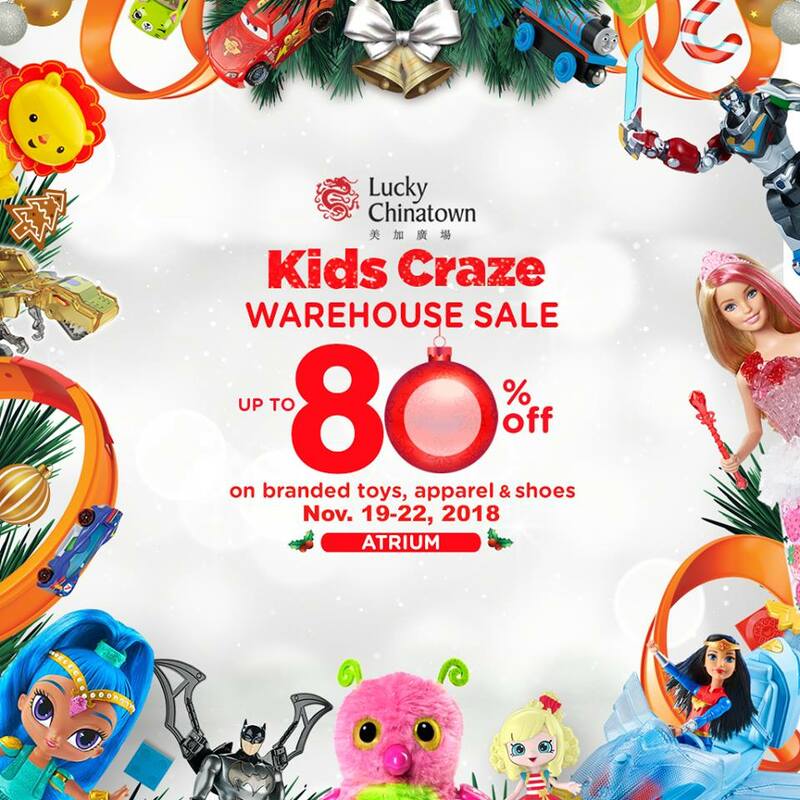 Check out the Kids Craze Warehouse Sale at Lucky Chinatown Mall Atrium on November 19 to November 22, 2018. Enjoy up to 80% off on branded toys like Barbie, Shopkins, Hotwheels, Vtech and Fisher Price! Great deals find from Kids' footwear brands such as Barbie, Ollie, and Fisher-Price are also in store for you!